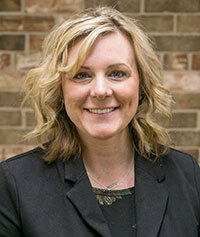 Stacy Griffey serves as the Lead Academic Advisor in the Academic Advising Center. She earned a Master of Science in Academic Advising from Kansas State University and Bachelor of Arts in Spanish from St. Cloud State University. Stacy has worked in higher education since 2007 as an Admissions Representative, Assistant Registrar, and Academic Advisor. Her favorite part of being an advisor is meeting with students to discuss their educational and career goals. In her free time, Stacy enjoys running, boating, and spending time with her two daughters and husband. 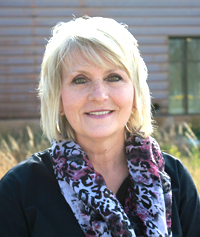 Susan Brunn serves as an Academic Advisor in the Academic Advising Center. She earned a Bachelor of Arts in Business Management and Communication from Concordia University. Susan also serves as the Campus and Community Resources Coordinator at SCTCC which helps students set and achieve their goals. She has been with the college since 2001 and finds much satisfaction in helping students have a positive and successful experience at SCTCC. Outside of work, Susan appreciates family and fitness activities. Her hobbies include painting and refurbishing unloved items. 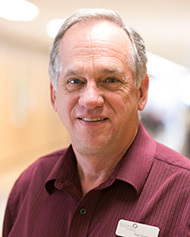 Tom Garberick serves as a Career and Technical Education (CTE) Enrollment Specialist in the Academic Advising Center. He earned his Bachelor’s degree in Business Management and Elementary Education at St. Cloud State University. He is also a 4-year veteran of the United States Air Force. He enjoys the energy he encounters every day as he works with and helps students achieve their goals. When not at work, Tom loves being with his family, playing golf, watching the always-disappointing Vikings and playing his music ( ask him about Buddy Rich!). 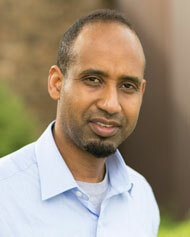 Ali Mohamed serves as an Academic Advisor in the Academic Advising Center. He holds a Master of Science in Educational Administration and a Bachelor of Science both from St. Cloud State University. His background includes student advising and mentoring. He worked closely with underrepresented students in a different educational setting. Ali is committed to serving all students and helping them succeed. He loves being with his family, being outdoors with his friends and playing soccer. Paranant (Sand) Dwyer serves as an Academic Advisor in the Advising Center. She has earned a B.A. in English from Thailand and a M.S. in College Counseling and Student Development from SCSU. She has worked for a non-profit international exchange program while tutoring English to ESL students. She enjoys being a mentor and advisor while helping students explore their passion that aligns with their educational goals. Her passion in higher education is to assist students in having a positive transition as they begin their college careers! 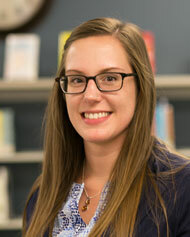 Sarah Desotell is an Interim Academic Advisor in the Academic Advising Office. She earned her Bachelor’s Degree in Small Business Management/Entrepreneurship from Bemidji State University and earned her Master’s Degree in College Counseling and Student Development at St. Cloud State in December 2017. When not advising, Sarah can be found coaching softball and basketball, cooking new recipes, gardening, canoeing, fishing, or spending time with family and friends outside. And who can forget about traveling, as Sarah has been to 4 continents and 30 states.